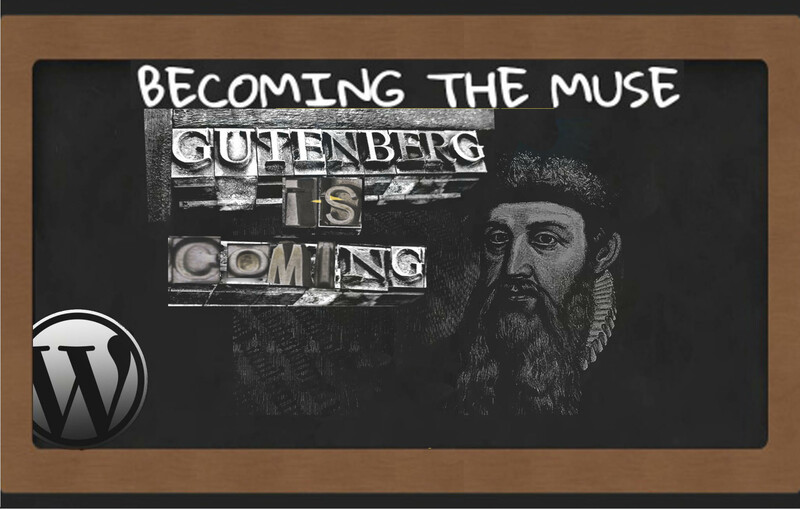 The Gutenberg Editor is coming!!!!!! WordPress 5.0 is rolling out, soooooon, and the Gutenberg Editor will be the new default editor and here’s why you should be paying attention, about 30% of the internet is powered by WordPress it just might redefine web publishing. What is Gutenberg, Who is Gutenberg and I’ll even do you one better Why is Gutenberg? Johannes Gutenberg whom the editor is named after was a 15th century printer and publisher who introduced the movable type printing system that allowed for feasible mass production of printed material which ignited the printing revolution in Europe. Its hoped that the Gutenberg Editor will similarly re-invent the web, creating a digital revolution which puts the power of creativity back into the hands of the creatives without expert code use. You create customizable blocks, for your content which you can manipulate individually to build up your post. I am a firm believer of the ideal that if something works then DON’T FIX IT. Having really gotten used to the old editor I am comfortable with it I know where everything is and how to create my posts, the editor has updated before but never so drastically. I love the idea of the being able to play around with different aspects of a post, its reminiscent of using a Image Editing Software which has layers or groups which you can manipulate individually. You can change formatting of a particular block; from the background colour to the text colour and resize without affecting the format of whole document, and it even notifies you if the colour scheme you choose might not accommodate everyone. The editor feels like it was mostly designed as a tool to fuse together mixed media content into a post then as an afterthought they remembered about the writer type of people. And where is the word count? I can normally see how much I have written easily by a quick glance without breaking a stride in my writing now I have to stop writing and click the content structure button though the document outline feature is a nice touch. While scrolling through the default blocks I found one with The Classic Editor and it works almost exactly as it has always been now I can breathe easy, and here’s a tip for all those who have been worried they wont know what to do once Gutenberg becomes the default editor well simply use the classic WordPress editor block. The Gutenberg Editor is still work in progress and yet to be launched, giving feedback helps make it better, if you have used it how has your experience been if not would you try it? 🙂 My first experience with the Gutenberg editor was a disastrous one. Last month, I read everything that I could about it with the intentions of finding my way around it when it is finally launched. I am curious to see what the Gutenberg editor is going to look like on the WordPress app. New things always annoy me. It’s hard enough to figure out stuff the first time. I’ll give this a chance and I’m sure I’ll figure it out. Unfortunately the moment I become really good at it another new thingy will emerge. Story of my life. I had resorted to using the classic editor because the other one wouldn’t center my text and other things. If experience has taught me any thing, it’s most probably the latter. Is there a date for this roll out? and my blog is in a state of shock my notifications are crushing on you like is it Christmas already ha! I haven’t tried the Gutenberg but I’m looking forward to it. I don’t have time to beta test it, perhaps in December over the holidays. I feel quite ok with widgets and blocks and such thing as I’ve worked in IT for many years, although I’m not a coder I’ve been around them enough to know a thing or two. That said, I’m on the page of having things easy, I don’t want to fight with my editor. Thanks for posting this, it helps me get ready. Thanks a bunch, Beaton for the good review. I have not paid much attention to the prompt to activate Gutenberg on my blog. I guess I will give it a try. Soon you wont have a choice in using it ha! I’m really curious to read your answers 🙂 Let me know when you do. Hmm, I don’t like the fact that actual text seems to be an afterthought in the new editor. I hope WordPress realizes that some of us still like to write. That is one of my biggest gripes with it !!!!!!! I think the power users of WP are the ones who will have problems with it otherwise outside of few teething quirks its quite easy to get a hang for it…. Yea, I could see it being complicated at first if you’re trying to construct advanced posts that feature lots of different types of content. For most of us who just utilize text and the odd photo or video, it shouldn’t take too long to get used to the new editor. I, too, have struggled with the new editor. Since I do not mix media in my post, I see more annoyance than ease in the new editor. Since it’s intro, I believe I have published a dozen or more. Like others, I have fallen back to producing outside of wordpress, editing there, and copying back in for refinements. Eventually, I will get the hang of it. Somehow, I think of the old adage, “use the right tool for the specific job!” The new editor seems to a decent tool, but not the right tool, to me. Time will get me there, I know. I think I am slowly getting the hang of it, I now know my way around it and it does have a couple of handy features but overally though I will agree with you it does not quite feel like the right tool for content creators of the writing persuasion.